Look no further, this is as good as it gets when it comes to Group Events. All of our packages place an emphasis on active fun. We keep you playing and occupied with so many structured activities, you’ll be spoiled for choice. 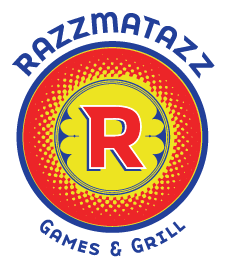 All of our food is sourced from the very best local vendors to ensure quality and freshness, and our packages all offer access to Razzmatazz Family Fun Center! Host your next school or camp field trip with us. Kids can play an array of sports such as: soccer, basketball, dodge ball, as well a variety of arcade games and many other games and activities. Optional catering for lunch available. Whatever the focus or desired activity level of your corporate event, we are able to customize to your requirements. All corporate packages come with multiple activity stations available to ensure a wide appeal to different participants. Bar and catering options available. There's honestly no better way to celebrate a bachelor or bachelorette party than with some group bonding through sports, or games; followed up with food and an open bar. Let us put together the perfect night out for you and your friends! Having a launch party or promotional event? Bring your guests to a location with a rich array of attractions. The best part is that we make it easy for you. Need a DJ? We've got it. Need speciality catering or decorations? No problem. Having a super secret, closed doors event? You can rent the entire complex! A little friendly competition among co-workers never hurt anybody. Even better, invite your industry rivals to submit teams! Host your company’s next tournament at Chicago Indoor Sports. Compete in sports ranging from flag football and soccer to ultimate Frisbee or softball, and win a little extra company bragging rights. At Chicago Indoor Sports we are committed to helping you reach your team goals, along with any others. Our Team Building experts help participants build skills and well as develop bonds. Looking for a More Active Event? Chicago Indoor Sports is the best indoor soccer and multi-purpose sports facility in Chicago. We specialize in competitive and recreational sports, including soccer, lacrosse, ultimate frisbee, flag football and basketball.